Food. Caffeine. Internet. The three tiers of sustainability and productivity. Today’s focus is on the third: internet. If you’re a Longfellow business looking for a new customer who’s willing to put in some time at non-peak hours, here’s what I’m looking for. By the way, I’m not alone by any means. I often walk to Longfellow venues to meet up with other geeky neighbors with money to combine work with a little socializing. I look for easy to access, fast, reliable internet. Making me fill out passwords and other authentication hoops hurts me without doing much to help you. I look for reliability. Can I count on it actually working? If I’m at your venue and the WiFi drops, I can use my phone to create an internet connection, but that’s a switch from using a pipe you’ve already paid for to using ridiculously expensive bandwidth (and cell phone battery). Fireroast Cafe – Has a password but rarely changes it. Never lost a connection. Longfellow Grill – Not as fast as Fireroast Cafe, but reliable. If the owner didn’t actively campaign against minimum wages for their employees, that would help, but it still wouldn’t be as good as Fireroast Cafe. Merlin’s Rest – Easy to use. Reliable. No complaints. Rail Station – Requires a login, but it’s fairly simple after the first use. Not quite as simple as Peace Coffee, but the internet is really good since I tend to be the only person using it. Peace Coffee – Reliable. I have to login every time I go there on both my computer and phone. 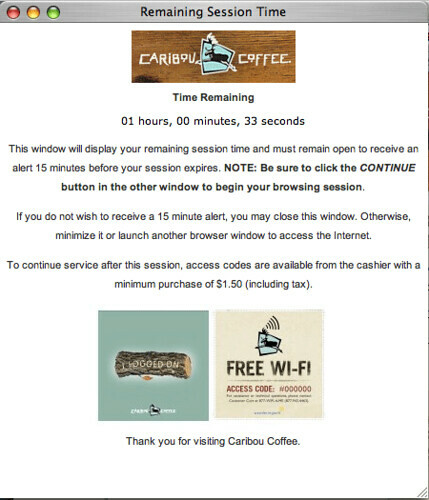 Dunn Bros – password changes every day. Total pain to login every day on both my computer and phone. So I don’t. Blue Door Pub – open network. But, it drops from time to time. I’ll take logging in from time to time over that. Zeke’s Unchained Animal – Easy to access. Not nearly as reliable as it should be. Perhaps a better WiFi router would solve that problem? Sonora Grill – Wifi is pretty good, but my phone won’t connect to it. That being said, there were some changes being done to the WiFi the last time I was in there, so this is the business – I’d predict – with the biggest opportunity for improvement. Dogwood – Same as Blue Door but more often. Keep in mind that this is just looking at WiFi ease of access and reliability. If you measure these same 10 venues based on not using your computer or looking at your phone, the list changes dramatically. If I’m missing places worthy of top-10 rankings, or you disagree with my analysis, please chime in. We’re on the same side of this issue. The City of Minneapolis is in the process of rolling out a city-wide WiFi service for residents. It’s not a free service. Rather, there are daily and monthly subscriptions available to anyone who anyone with a WiFi connection in the city. A Community Benefits Agreement is tied into the project, which outlines a series of concessions the vendor – in this case, local ISP, US Internet – as expected to make in exchange for being rewarded the contract. One concession that’s particularly interesting is a “civic garden” of websites that are deemed publicly accessible with or without a wireless subscription. The sites reside on the public Internet, but are given a free pass by USI. 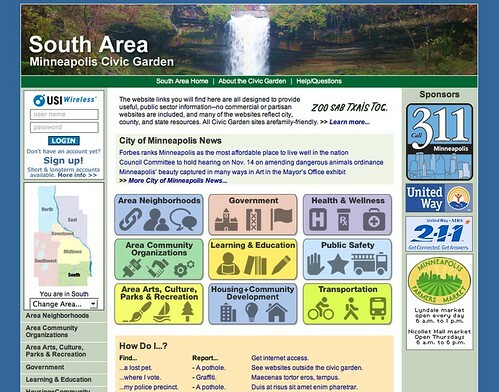 The portal looks impressive, and seems to do a better job of organizing the various services available to Minneapolis residents than the city’s own website does. Very cool. But what I don’t understand is who really benefits from the free civic garden. Think about this: how many people in the city of Minneapolis have a computer, with WiFi, but no Internet access today? How many of those people would use their computer to access a handful of government and non-profit websites, given the chance? That seems like an impossibly small number of residents. As I see it, the biggest market for this type of content (free with WiFi access) isn’t city residents but city visitors. Thousands and thousands of people visit Minneapolis every day for business with laptops in tow. What types of content could make their time in our city more enjoyable? Chicago is now starting a similar discussion. Peter Fleck has a lot more info on the Minneapolis Wireless scene on his blog. These potholes in the nation’s wireless rollout of civic ambition—criticized by many as an improper use of tax dollars—are hardly the exception. For the road is getting bumpier for cities and the companies they have partnered with in a bid to blanket their streets with high-speed Internet access at little or no cost to users. Minneapolis is currently in the middle of a roll-out of citywide WiFi based on a pay model. As I understand it, the city contracted with a local ISP to build the network, and will buy all of the city’s bandwidth from that supplier. Beyond that, the network is available to the public for daily or monthly fees. While they may make a few bucks off one-off daily usage by travelers, it doesn’t seem competitive price-wise with cable or DSL to me. I can’t imagine people will drop their faster wired connections for a wireless one. If that’s the case, the market opportunity is limited to people currently using dial-up or no Internet connection. Those are two very tough groups to market to. In Minneapolis’ case, I believe the network is supported through the city’s own spending. That’s a different model from the direct-to-consumer models BusinessWeek suggests are floundering. My commute was particularly horrendous on a morning earlier this week, so I broke up the trip with a stop into a Caribou Coffee coffee shop in Edina, MN where I figured I could wait things out while checking a few emails and enjoying a cappuccino. 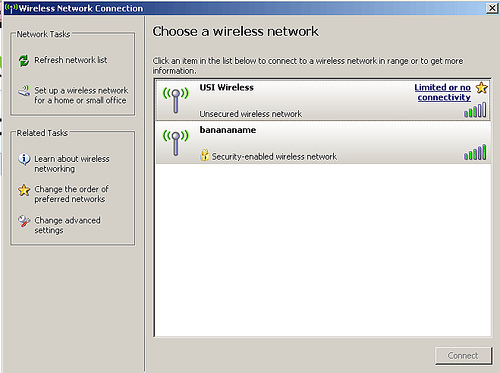 After selecting the network and logging in, the following screen pops up. That seems reasonable to me. If you’re not buying anything, get out. It is a business after all. I haven’t encountered this particularly policy on previous visits, so wonder if this was put in place after encountering too many WiFi squatters? Maybe Nathan’s close enough to Longfellow to grab a signal before November? Are you considering switching over to this? From what I’ve heard about the service, I’m not at this point. It costs about 1/2 of what I spend with Comcast for cable ISP, but also has lower speeds. The flexibility of accessing the network from anywhere in the city isn’t a particularly big sell for me since there are so many places with free access outside of my home already. Some businesses already offer free Wi-Fi as a way to attract customers. Large chain restaurants such as Schlotzsky’s and Panera Bread Co. have offered free Wi-Fi for years. In fact, Panera operates one of the largest free Wi-Fi networks in the country. If case you’re not a regular reader of Advertising Age. It’s a magazine about . . . wait for it . . . advertising. They put articles between the ads to mix things up a bit. Does FON Threaten Starbucks&apos; WiFi Revenues? Advertising Age has an article in this week’s issue on the potential impact of FON’s free WiFi sharing system on Starbucks. How do you see this playing out? Do you think there are coffee shops NOT offering free WiFi today who suddenly will because of FON? If Minneapolis is anything like other cities around the country, I can’t believe this is the case. Author Ed KohlerPosted on May 1, 2007 March 31, 2011 Categories WiFiLeave a comment on Does FON Threaten Starbucks&apos; WiFi Revenues? – The good part is, the summons waiting room has WiFi. – The bad parts are, it’s not free, it’s slow, and it drops connections every 10-ish minutes. I wonder if Jeremy will come out ahead on his jury duty stipend after WiFi costs? Peter Fleck has a great update on the Minneapolis WiFi scene. It turns out it’s available now in Seward. He even has a link to a map of the WiFi antennas. If you live in the Seward area, you can also subscribe to the system for $14.95/month (1-3Mbps) or $24.95/month (3-6Mbps). The subscription service is in place as they sent out a mailing a while back. A comfortable place for wireless exploration would be the 2nd Moon Coffee Shop at 2225 East Franklin Avenue. You should be able to see the USI Wireless network there and you can browse the Web via the free wireless at 2nd Moon if you don’t want to pay USI for some browsing time.